While most of your weekends are just ending, in a way, mine is just starting. A couple of my friends from college are taking a cross country road trip and I am heading up to Austin to meet them in our capital city for their first time in Texas. It's always interesting to me how each Texas city has it's own personal style. When it comes to Austin, I always think of it as the funky boho younger sister of the Texas bunch. 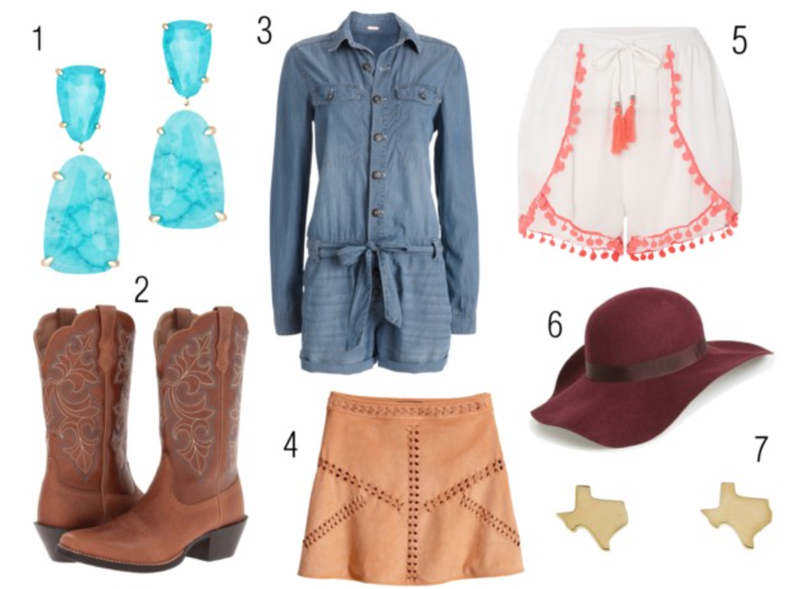 Cowboy boots, turquoise and suede are what comes to mind for this city which is sort of a shift away from my usual style which makes quick trips to Austin so fun. Hope everyone had a good weekend. I'm looking forward to good conversation, gorgeous hills, and great live music.